Below are selections from the series of hymns by St. Romanos the Melodist titled On the Mission of the Apostles. The Leader gathered together the lambs whom fear had scattered at the time of the crucifixion after the resurrection, and standing on the mountain top, He sang a sweet song, giving courage to the flock, a bit as though speaking with hints for timid men, He said: "Be of good courage, I alone have conquered the world, I alone have scattered the wolves, no one was with Me; I was the one, the only one, Who alone knows what is in the heart." I send forth one word for all so that I may not weary you in teaching you one by one. Once and for all I say to My saints: Go forth into all the world; teach races and kingdoms; for all things have been given Me by My Father, things on earth and in heaven over which I was in charge before I assumed flesh. And now I have become King of all, and I have you as my sacred senate. I Who alone know what is in the heart. "Save the world on these terms, baptizing them in the name of the Father, and the Son, and the Holy Spirit." 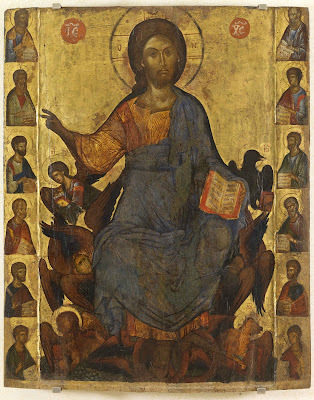 Strengthened by these words, the Apostles said to the Creator: "Thou art God before all time and without end. We shall herald Thee as one Lord, along with the Father and the Holy Spirit, just as Thou hast commanded, O Thou Who alone knows what is in the heart." On the Apostle Paul, "the lofty and great ... who was almost incorporeal and the prisoner of Christ's love," the governor of the Church and the corrector of the ecumene, the educator and father, the tent-maker and landless, as he was characterized by Saint John Chrysostom, will this poor and insignificant discourse deal with. It is he who ran around the world preaching. He overcame his natural needs. He lived as if he had no body. Even his clothing was able to heal. The devil trembled at his voice and shadow. During the time that Russia was under the yoke of the Golden Horde, Bishop Cyril (Kirill) of Rostov traveled to the Horde, to Khan Berkay, to speak on behalf of the work of the Rostov Diocese. 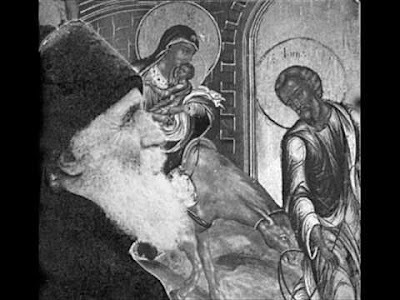 The Khan listened with considerable interest to the bishop, who told of the spiritual struggles pursued by Rostov’s enlighteners, of Leonty, the first of those teachers, who had come to baptize an alien and cruel people, and told of how ever since miracles had been happening over the relics of the great Righteous One. To this day, no one knows whether Berkay believed in the miracles described by the eloquent bishop. However, some time later, the Khan summoned the bishop and ordered him to heal his ailing son. Before leaving Rostov, the bishop had served a Moleben at St. Leonty’s reliquary and he had taken the Holy Water [blessed at the Moleben] with him to the Horde. Having sprinkled the Khan’s son with Holy Water, and having read a prayer, the bishop addressed the Khan and said, “Your son will survive to become as powerful as you.” The child became well, and Berkay ordered that all of the tribute collected from Rostov go to the Dormition Cathedral in Rostov. Another year has passed, and thanks to my faithful readers and supporters this ministry has been kept running and growing. For this, I thank you all! Over the past year I have tried to bring more content through this and my other websites that is unique and of a distinct quality, more so than previous years, which requires a lot of time and effort, and I hope is beneficial and helpful for those who visit here looking for such. The future looks even brighter, as I have tried over the past year to clean up a lot of things on this site, update the hundreds of things that needed updates, and systematized certain topics for better user friendliness. This took and is taking a lot more time than I thought, but once this is completed, and it mostly is, I can focus my time on more important things. However, there is no future for Mystagogy or any of my other websites without you, my readers. This is why it is crucial that in order to maintain and help grow this ministry, that you become a partner financially in this mission. So, if you fairly regularly visit this website and/or my others, and for the most part like what is available, and are interested in its having a future, then I would encourage you to become a financial partner today. I won't lie, this ministry barely survived this past year, which is why this appeal is crucial. I'm not looking for this ministry to just survive, but to grow even more. Much more! I can't do it without you. Therefore, please give, either as a monthly or annual donation, as often and as much as you can, depending on how much you value this ministry. In the past I requested a $60 annual donation from those who could, but now I am not putting a dollar amount so as to stifle your generosity. The sooner you lend your financial support, the sooner I can return to providing the highest quality, most reliable and most unique Orthodox information on the web! But I must first reach my budget goal for this period. My plan is to return June 24th. Having said this, there are a few things I would like to bring to everyone's attention. First, one way I want this ministry to expand by the end of this year is to start publishing. I already have some things ready to publish, and others nearly ready, but I've been debating exactly how I would like to go about things. Plus, financially I have not been able to make this leap as quickly as I would like, which is also why your help is crucial. However, confident in your assistance, a handful of publications should be available by the end of this year, which is why I also have removed the previous MYSTAGOGY BOOKSTORE, which helped with the financial maintenance of this ministry, so I can make ready for the new phase of better quality publications. Second, over the past year I have added a few new websites, and over the next year I plan to add a few more (all these websites have links at the top of this page and the feed is updated on the side bar of this site). In fact, one new weblog will be launched this week, that will focus on eschatology, which I'm very excited about, as there are hundreds of things I've been sitting on that I would like to share dealing with this subject. The URL is http://www.eschatologia.com. You can bookmark it now and check back in a few days when it is completely ready to launch. I will inform everyone through social media when it is ready, so make sure you are following the facebook and twitter pages of all my websites..
Third, I encourage everyone to click on the links above titled RESOURCES and SAINTS & FEASTS. This is one way I have tried to systematize my website this past year to make it easier for people to look up various subjects and the various saints and feasts by the date and month of the year. It was time consuming to get these done, but I'm very happy to have them available, and I hope everyone finds them helpful. 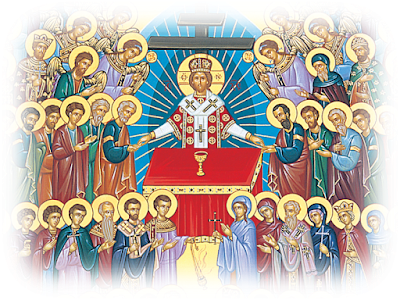 Over the next few days I will be focusing my attention on other important matters, so please visit the above to read about the daily saints and feasts we celebrate. Fourth, you will notice a new page link above titled FREQUENTLY ASKED QUESTIONS. There are certain things I am asked frequently, so to shorten my time responding to each person individually and focus on more important things, I will be launching this new section also within a few days. Fifth, one frequent question I get has to with the copy/paste feature on the sites. Though this will be addressed in said section, I do want to draw everyone's attention to the new PRINT/PDF link posted now beneath each post. This will allow everyone to print and edit the text as a pdf file, not in order to abuse the texts and repost things without permission, but to use them for your own personal benefit and ministries. Through this feature you are also able to copy and paste, but I ask when you do so to always include the URL of the link from where it came. Read more about this in the forthcoming FREQUENTLY ASKED QUESTIONS. Sixth, I will also be updating my SUPPORT THIS MINISTRY section this week to include the various ways you can support this ministry, and also a section where names can be submitted for all those who support this ministry, which I give to a handful of monasteries around the world for commemoration every year. Also, when you do send in your support, either online or through mail, please include your updated information, as I do like to send a letter of thanks every year at Christmas, but I notice many get returned to me for lack of information being updated. This will save me not only time, but money. Lastly, I apologize for moving along so slowly since officially launching this ministry two years ago. Many hours a day, every day, are put into this ministry for its maintenance and growth, but I assure you the field is slowly being ploughed for the crops to be planted and to sprout and bear fruit in abundance. Working this field alone, I assure you it cannot be done without your assistance, which is why it is so crucial, and in turn it is much appreciated. There is much more to come, but I will leave it at that for now. Thank you all in advance for your support, and please keep me in your prayers, as I do you. - Elder, is divine eros the love for God? - Divine eros is something superior to one’s love for God. It is a kind of madness. Love – eros – madness is along the same lines as envy – hatred – murder. A precise love towards God, with its sacrifices, simmers sweetly and slowly inside the heart; then, just like steam, divine eros bursts forth, since it cannot be contained, and unites with God. Divine eros can soften even the toughest bones, to the point that a person can no longer stand upright, and so they fall down! They resemble a wax candle in a warm environment, which cannot stand firmly upright. It falls to one side, then it falls to the other side, you straighten it, but again it bends, and again it falls, because of the heat of the environment, which is too hot for it to bear. When a person is in such a state and they need to go somewhere or do something, they cannot. They will actually struggle to get out of this state. 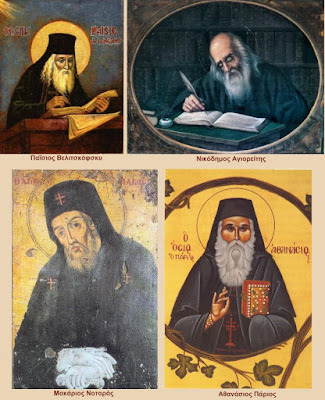 Elder Daniel the Katounakiotis from Smyrna (+ 1929) had as beloved saints John Climacus and Isaac the Ascetic, as well as the Kollyvades. 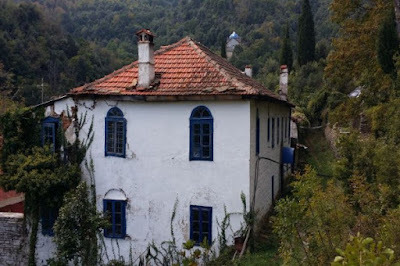 After living as a monastic in the Monasteries of Saint Panteleimon and Vatopaidi, he went to the very pleasant Katounakia, where he gave himself over to asceticism, study and the prayer. Poverty became his wealth and quietness his friend and the occasion for spiritual gladness. The external silence became internal and he cultivated the garden of a good heart with the prayer of Jesus, which filled him with joy. 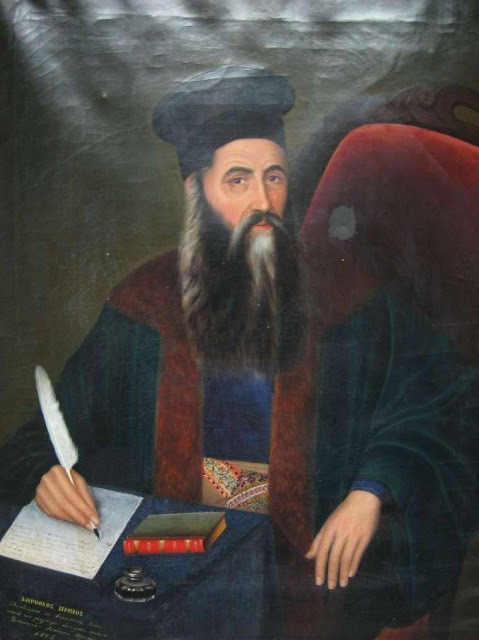 His correspondence with holy figures and writers indisputably reveal his divine illumination and grace, his discernment and wisdom, such as his letter to a monk about noetic prayer, where he demonstrates his patristic knowledge, the acquisition of the prayer, discernment and insight. 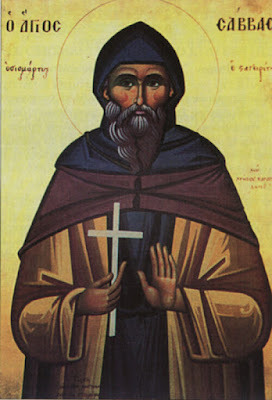 Saint Tychon came from the ancient city of Amathus in Cyprus and lived in the fourth century. His parents were pious and raised him "in the education and admonition of the Lord." From childhood he was a philanthropist and merciful. Since he was little he helped his father in the bakery he owned, and would give bread to the poor without receiving payment. One time his father observed this, because he "overdid it" during a crisis, and he took him to the warehouse to show him that the wheat was continually lessening. However, he was surprised to find that when they arrived the warehouse was full of wheat, and from that time on he allowed Tychon to generously give as much as he wanted to the poor. To young Tychon all this seemed very natural, because he full heartedly believed what he had heard, namely that whoever has mercy on the poor lends to God, and it will be reciprocated back many times over. And now he found these words were absolutely true. 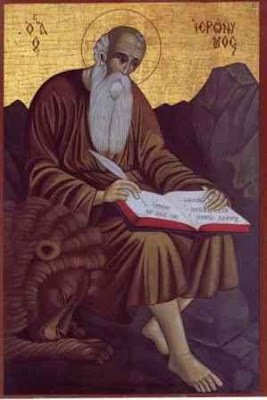 Hieromonk Eustratios of Trebizond became a monk at eight years of age in Soumela Monastery in Pontus. After twenty years there he was ordained a priest, and after visiting Jerusalem he came to the Holy Mountain to the Skete of Kavsokalyva. His typikon was as follows: three thousand prostrations every night and the prayer unceasingly. This typikon he followed throughout his life. The cave in which he lived looked like a tomb, dark and closed, in order to lengthen the night which fosters prayer. He would sleep one hour a day, practically standing. Daily he would liturgize. Continuously he would fast. To one of his disciples, who lived beside him, but in another place, he said prior to his death, how God had given him such prayer, that even while sleeping his heart would pray. The Elder would pray either while sitting or standing, leaning his head slightly towards his chest, and would softly utter with contrition and attention the prayer, fixing his mind on the words of the prayer while holding his breath, in order to harmonize it with the movement of his mind. He was adorned with the gift of insight. While praying he would hold a large handkerchief, for his many heartfelt tears, and he would be found in a state of spiritual ascent. Saint Jerome was born in 345 in Stridon of Dalmatia, from pious parents who raised him "in the education and admonition of the Lord," and also took care of his secular education. He studied in Rome, where he was baptized. Unfortunately, after his baptism he went astray falling off the path of salvation, but because he had a strong spiritual foundation he was able to recover quickly and return to God's path with sincere repentance. He continued his studies in Gaul, Italy and Antioch and then retired to the desert of Syria, in order to live the hesychastic life. However, he could not find there what he was looking for, so he went to Constantinople where, by divine economy, he "chanced upon what he desired." His acquaintance with two great Fathers of the Church, namely Saint Gregory the Theologian and Saint Gregory of Nyssa, decisively influenced his subsequent development and progress in the spiritual life. Later he went to Bethlehem where "he lived in asceticism, wrote and theologized." 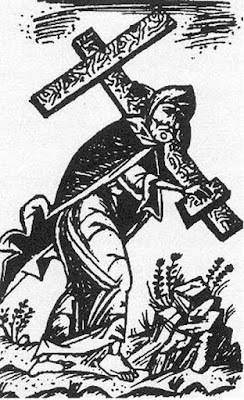 In 420 he "abandoned" the present and temporary, to continue his life in heavenly dwellings with all the saints, where "there will be no more night, they will not need the light of a lamp or the light of the sun, for the Lord God will give them light" (Rev. 22:5). His sacred relic was later moved from Bethlehem to Rome. The Prophet Amos is one of the so-called Twelve Minor Prophets. He was born in the village of Tekoa in the land of Judah. A shepherd by occupation, God's Grace made him a prophet. He prophesied 800 years before Christ when Uzziah was king of Judah and Jeroboam (786–746 BC) was king of Israel. His prophetic book consists of four chapters and is classified among the Prophetic Books of the Old Testament. It holds a similar position in the Hebrew Bible. In it the Prophet strongly rebukes the people of Israel, but he does it to wake them up from the lethargy of sin and lead them to repentance. It should be noted that his activity coincided with a period during which there prevailed great social inequality in the country. There was high taxation, which resulted in the concentration of ownership in few hands who were a powerful landowning class, while the majority of the population suffered from poverty and the oppression of the rich. 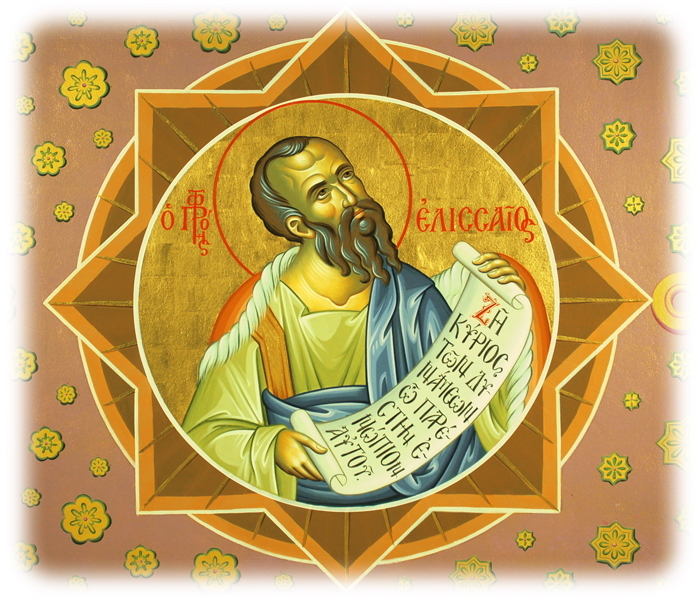 In the language of the Orthodox Church, a prophet is a theologian, namely a God-seer. It is someone who "in the Holy Spirit" sees God and has a personal experience of His existence and love. 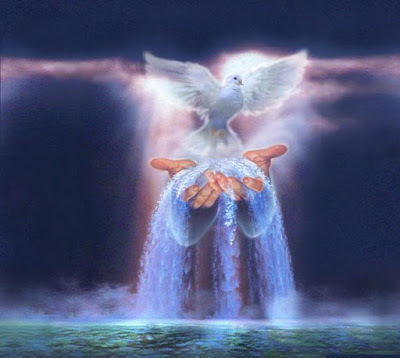 "From the Holy Spirit springs forth all wisdom ... and the prophets behold" and preach what they saw, heard and touched; "which we have heard, which we have seen with our eyes, which we have looked at and our hands have touched" (1 Jn. 1:1). It is someone who internally experiences the Grace of the Holy Spirit and feels it inundating their entire existence, "He who believes in Me from his innermost being will flow rivers of living water" (Jn. 7:38), and their words have power, they are life-creating, regenerating and "seasoned with salt," going straight to the heart. Does it not also happen to us, when we hear the homily of a saint and feel touched in our soul because it goes straight to our heart? The words of the God-seeing saints bring contrition to the soul, an appetite and taste for prayer, it creates inspiration and leads to repentance. They are the words of the Holy Spirit, Who speaks through their mouths: "And in the Holy Spirit ... Who spoke through the prophets." 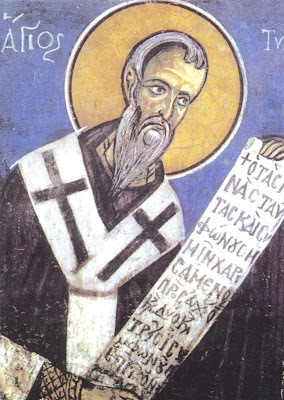 After the 18th century revival, with the actions of the neo-hesychast movement of the so-called Kollyvades, and its venerable pioneers, such as Paisius Velichkovsky (+ 1794), another Gregory of Sinai (+ 1346) that occupied himself with translations and missionary work throughout the Balkans; Nikodemos the Hagiorite (+ 1809), the wise teacher and new Gregory Palamas (+ 1359); Makarios Notaras and former Metropolitan of Corinth (+ 1805), another Holy Photios (+ 899); and Athanasios Parios (+ 1813), the irresistible defender of correct doctrine who was like another Mark the Evgenikos (+ 1445), we have a chorus of virtuous friends of noetic prayer. Aquilina is cut asunder for You as a young Bride. 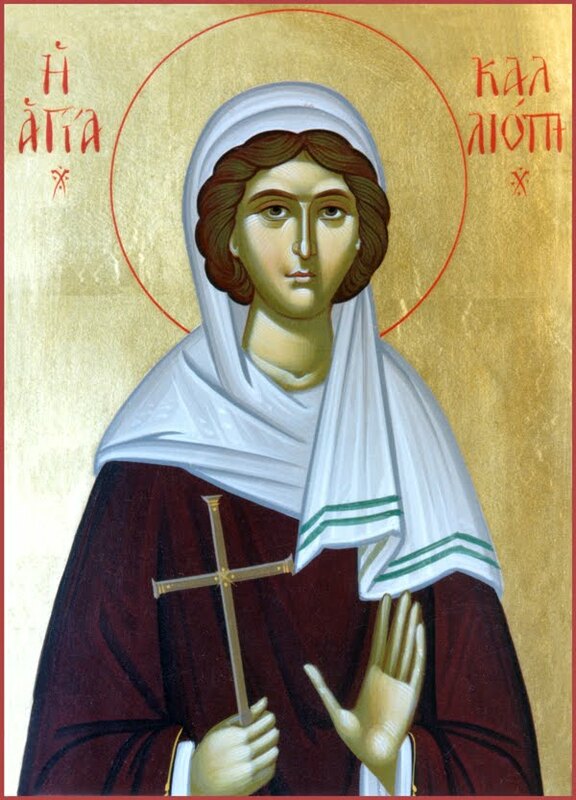 Aquilina was born in the late third century in the city of Byblos of Phoenicia to the renowned Autolmios the magistrate of Palestine, during the reign of Emperor Diocletian (284-305). When she was five years old she was baptized by Bishop Euthalios, which was arranged by her father in order for his daughter to have a firm Christian faith. Indeed, from a young age Aquilina began to preach the word of God with fiery zeal, and did good deeds for others with philanthropy. In her tenth year she managed to convert to the Christian Faith other girls of the same age who were pagans and instructed them to keep away from the deception of idols. You purchased the celestial kingdom. 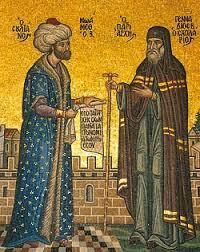 John was a successful merchant from the city of Trebizond and a pious Orthodox Christian. For this reason he shared his success with many acts of philanthropy towards his neighbors. Because of his good reputation, and the fact that he prayed, fasted and did good works, John was greatly envied by the captain whose ship transported some of his merchandise. One day as they journeyed they got into a heated discussion on spiritual matters, and John's vast knowledge succeeded in defended his Orthodox Christian faith, but this enraged the captain. So when they landed in Akkerman, Moldavia the captain slandered John to the city officials, informing them that John wished to become a Muslim. Delighted by this, the ruler ordered John be brought before him. "God forbid I should ever deny my Lord. I was born an Orthodox Christian and I wish to die an Orthodox Christian. I neither want your riches nor will I become a Muslim, for I believe in my Lord Jesus Christ, the true God and Master." Saint Onouphrios is one of the greatest ascetics of the Orthodox Church. He came from Persia and lived as an ascetic in one of the Egyptian deserts. At a young age he settled in a Cenobitic Monastery, where he lived for many years in asceticism and obedience. With the blessing of his Elder he later retired to the desert. 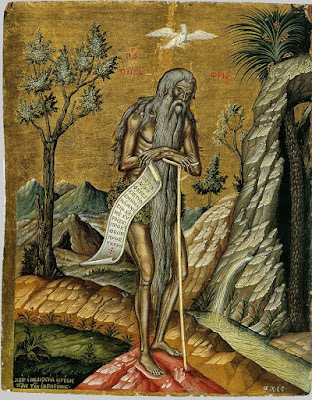 There he met the hermit Hermias who, by divine revelation, was waiting for him and led him to a hut under a huge palm tree where there was a source of pure water. There in the silence he gave himself over to greater spiritual exercises and prayed without ceasing for the entire inhabited world. Through the grace of asceticism he purified his soul of the passions and reached illumination and theosis. The uncreated Grace of God flooded his entire being, soul and body, which is why his relic after his venerable repose gave off a sweet fragrance. "Whoever has the Grace of the Holy Spirit in their soul and body, has perfect love. And whoever preserves this Grace, their relic will become sanctified, just as with the holy martyrs, the prophets and the other great saints" (St. Silouan the Athonite). In the early years of his ministry in Crimea, Archbishop Luke had as a precious friend, supporter and spiritual father Archimandrite Tikhon Bogoslavets, who was a man of great spirituality and discernment. He was one of the few starets left. 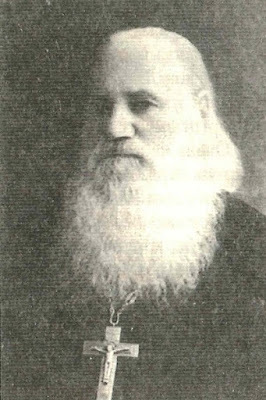 Archimandrite Tikhon was born in 1859 and was from a poor family. After an elementary education he studied in the technical schools. He served his term in the Navy as a seaman and travelled to several places both within and outside the country. From childhood he was distinguished for his kindness, temperance and purity. He never ate meat. Among the sailors he was distinguished for his spiritual gifts. The officers loved him for his modesty, kindness, honesty and purity. Being a man of love and sacrifice, he was ready to minister to others and offer everything. 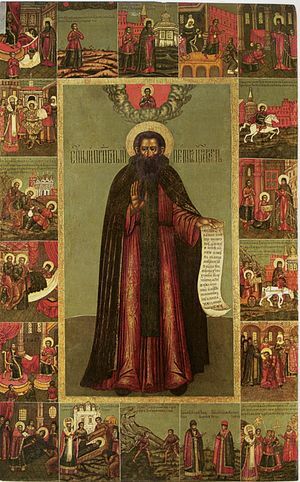 He had the special blessing from God to meet with the great Russian starets Ambrose of Optina, who became his spiritual father. Starets Ambrose was a decisive influence in his life and spiritual path. Request from the Athonite Brotherhood of "Axion Estin"
Today, June 11th, we celebrate the commemoration of the revelation of the hymn "Axion Estin" by the Archangel Gabriel to fathers of Mount Athos over a millenium ago. For this reason I am submitting a letter I received about six months ago from the fathers of the new brotherhood of the Cell of "Axion Estin", in which they are seeking financial assistance for the resoration of this historic cell. 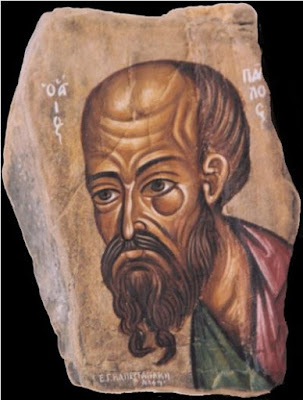 The Apostle Barnabas was a "Jewish Levite, an offspring of Cyprus." Originally his name was Joses, but the Apostles renamed him Barnabas, which means "son of comfort", namely son of consolation, because he had the gift of comforting people and supporting them in the faith, and "he comforts those who turn their hearts to the Lord." He belonged to the chorus of the Seventy Apostles and ranked first among them. He was "the first of the seventy, equal to the twelve" (Apolytikion of the Apostle Barnabas). Because of his fiery zeal and exceptional gifts, he was held in great honor by all and were confident in his judgement. This is evidenced by the fact that during the period when there was mistrust and skepticism towards the good intentions of the Apostle Paul, because of his past as a persecutor of Christians, the Apostle Barnabas discerned in the person of the Apostle Paul a fervent preacher of the Gospel, and managed to dissolve suspicions and coldness and brought him into brotherly communion with the other Apostles. 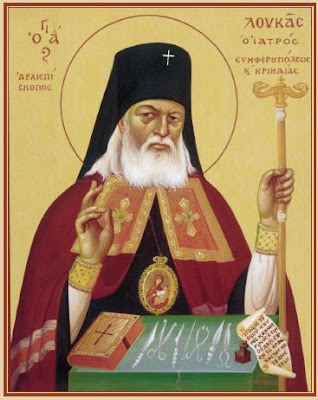 Saint Luke the Physician, Archbishop of Simferopol, was born in 1877 in the Kerch Peninsula of Crimea. He married Anna Vasilievna, who reposed at the age of 38, so the Saint took the full responsibility of raising his four children. In 1920 he was elected Professor of Topographic Anatomy and Surgery at the University of Tashkent. His research on the issue of purulent infections were innovative and he wrote the manual still used today. He was ordained a Priest in 1921, Bishop of Tashkent in 1923, and in 1946 he was promoted to Archbishop of Simferopol in Crimea. He remained in this position until his repose, on 11 June 1961. From 1922 till the end of his earthly life he suffered arrests, exiles and horrific tortures. Many times they attempted to kill him, but God protected him. Throughout the last nine years of his life he was blind from glaucoma, but in this also he showed Job-like patience. 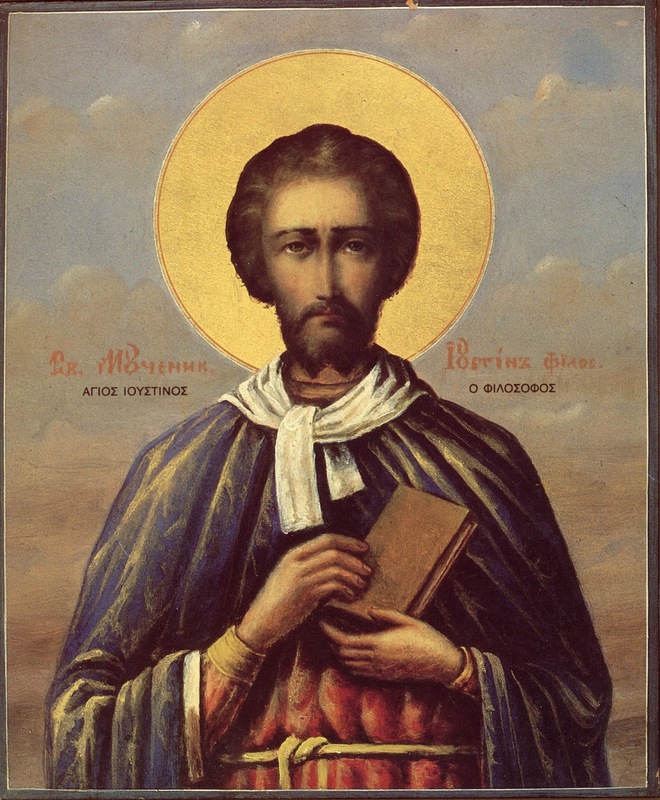 Saint Savvas was born in Stageira towards the end of the eighteenth century. Out of love for the monastic way of life, he departed for Konstamonitou Monastery in Mount Athos, where he lived in asceticism as a monk. The reasoning behind going to this Monastery most likely had to do with its close relationship to Stageira in Halkidiki. In this Monastery, which is dedicated to the Protomartyr and Archdeacon Stephen, Saint Savvas dedicated his life devoting himself to virtue and piety, thus preparing himself for the crown of martyrdom. With the passage of time, Theophanes learned that in the city dwelled a harlot named Pansemni, who brought ruin to many men. 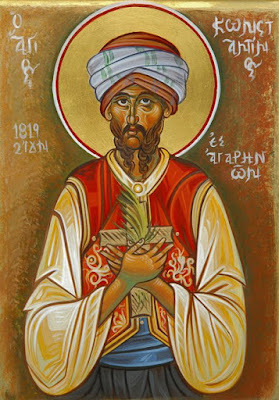 Pricked in his heart over this calamity, both on behalf of the woman and her male admirers, Theophanes entered into deep prayer, whereupon he was enlightened to ransom Pansemni and take her as his wife. Therefore, he removed his hair shirt and donned expensive apparel. 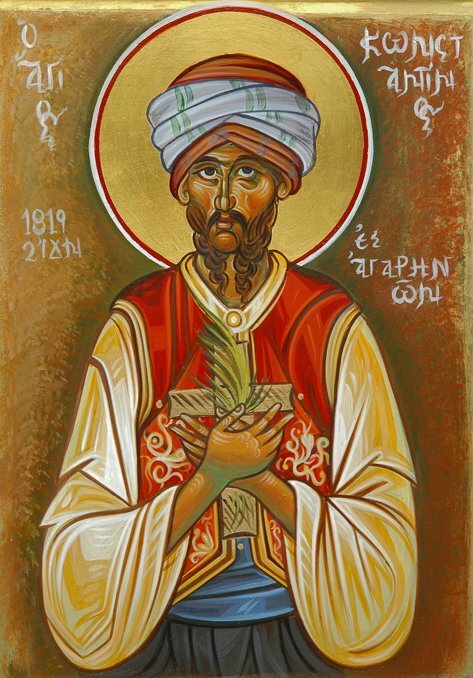 Theophanes visited his father to reveal his intentions in taking a second wife, and the father gladly gave his son ten gold coins. The pit to be a ship that brought them to luxury. Saint Antonina was a modest and holy woman from the village of Kardamos (or Krodamos), adorned with outer and inner beauty. Arrested for being a Christian in 313, she was brought before Governor Festos, who was unable to persuade her to renounce Christ and worship the idols of demons. Rather, she invited the governor to repent and accept Christ. Seeing that Antonina was modest and strongly held to her virginity, the Governor forced her to enter a house of prostitution, where she remained for three days in fasting and prayer. 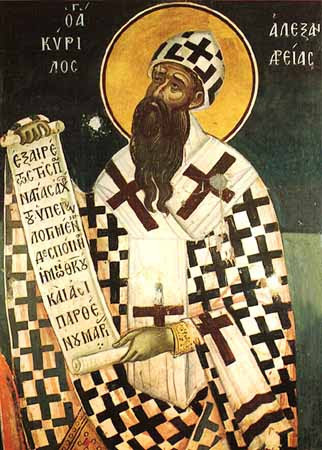 Saint Cyril was born in Alexandria from a noble family in around 380, according to Saint Isidore of Pelusium and the historian Socrates, and he was the son of the brother of Patriarch Theophilos of Alexandria. He is among the great Fathers of the Church, who by his way of life and teaching substantially influenced the formulation of Orthodox Theology, and safeguarded against heresies which threatened to distort it. After receiving a brilliant education, he lived as an ascetic in Nitria under the guidance of Serapion. He was probably a monk for some time in Pelusium, near Saint Isidore of Pelusium, for whom he harbored a profound respect. 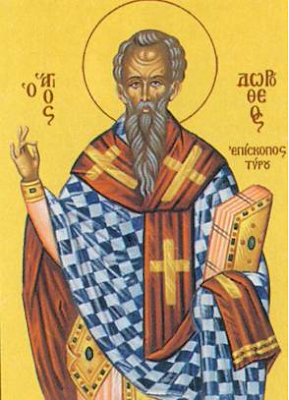 Returning to Alexandria he was ordained a Deacon then a Priest by his uncle Theophilos. Following the death of his uncle he was elevated to the historic throne of Alexandria, on 18 October 412. As Patriarch of Alexandria, besides his vast literary work, he developed and valued social work. In an exemplary way he organized social welfare and solidarity, as well as established hospitals. 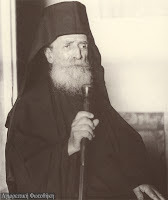 On June 29, 2011 His Eminence Metropolitan Hierotheos of Nafpaktos and Agiou Vlasiou delivered the homily below during the Festal Vespers of the Holy Apostles in ancient Corinth at Gallio's Bema, where the Apostle Paul stood for trial (Acts 18:12-27). He was invited by His Eminence Metropolitan Dionysios of Corinth to commemorate the mission and ministry of the Apostle Paul in Corinth, amidst a crowd of faithful and numerous clergy. I thank his Eminence Metropolitan Dionysios of Corinth and a beloved brother in Christ who invited me to come to Corinth on this important day and participate in the worship festivities in honor of the Apostle Paul, the Apostle to the Nations and the patron of this apostolic Sacred Metropolis, and to speak from Gallio's Bema, where the Apostle Paul was led by the Jews for trial (Acts 18:12-27). I heartily thank him and rejoice in the presence of this crowd of people who have come to this place, and by doing this, as spiritual children and descendants of the Corinthians, I offer the great Apostle and their wondrous spiritual father due respect. Having the honor of referring in this assembly to the great Apostle Paul, I will take the occasion from the two epistles which he himself sent the Corinthians, which are included in the New Testament canon, and by these this city and Sacred Metropolis are honored by all the world throughout the ages. I will stress two points. Kalliopi beholds the beauty of the Lord. 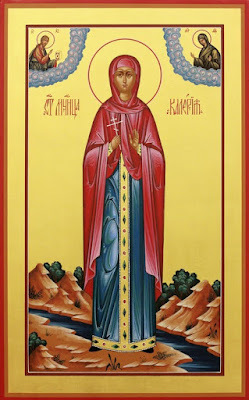 Saint Kalliopi, whose name means "beautiful-voiced," lived during the reign of Emperor Decius (249-251), though her homeland is unknown to us. In 250, the holy virgin, who was beautiful both physically and spiritually, was arrested by pagans due to the persecution of Christians, who wanted to force her to renounce her faith in Christ. Having no intention to deny her love for Christ, she confessed her faith, and in return they beat her mercilessly and had her breasts severed. However, an angel of the Lord visited the Lord's servant and healed her. Afterwards, those possessed with idol-madness dragged her body over broken tiles and then burned her with fire. Following this torment they sprinkled salt over her wounds and rubbed her down with a coarse hair-cloth. 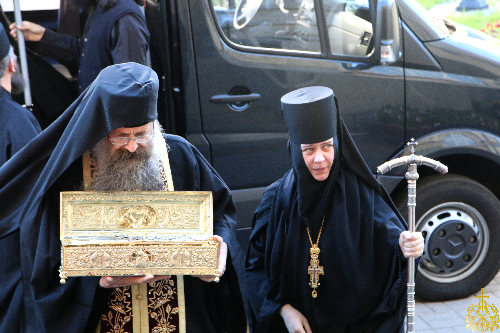 According to Pravoslavie.ru, a moving miracle has taken place in St. Petersburg, when the sacred relic of the right hand of St. George was welcomed there, having come from Xenophontos Monastery in Mount Athos to visit various cities of Russia on a two month tour that began on April 24th in Moscow. As the sacred relic was being brought to a church in St. Petersburg to be venerated by the faithful, a blind woman with a cane in hand began to yell out, "I can see, Lord, I can see!" after she venerated the right hand of St. George. 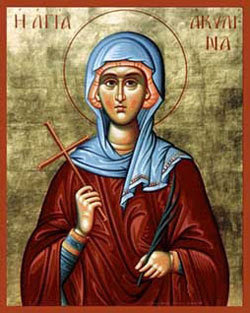 Saint Potamiana lived in the fourth century and was from Alexandria. 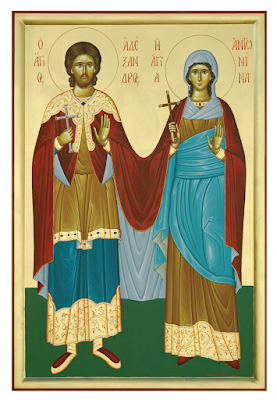 She was the slave to a lecherous pervert, who would repeatedly make obscene advances toward her, but the Saint strongly resisted so that he was not able to realize his obscene desires. Enraged, he handed her over to the ruler of Alexandria offering gifts and rewards if he could convince her otherwise, and if not she was to be tortured and killed as a Christian. Since he also was unable to convince her either through flatteries or threats, he decided to throw her into a large cauldron naked with heated tar. The Saint swore an oath that if he allowed her not to remove her clothing, then she would go into the cauldron little by little on her own accord, despite the fact that doing so would prolong the torment. Indeed, he accepted the oath, and allowed her to descend clothed into the cauldron, revealing her bravery, patience and firm faith in Christ, who empowered her and continuously strengthened her. In this way her martyrdom was competed and her soul flew to heaven. 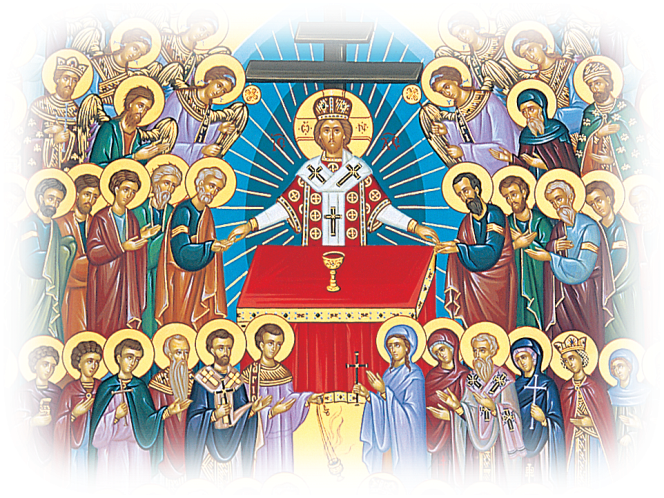 Today is the Sunday of All Saints, and who thinks about how the main purpose of our life on this earth is to acquire holiness? Yes, we exist to become saints. The failure of this achievement is the greatest tragedy of human existence. But how is holiness considered today? What is our stance before it? How do we view it? How do we live it? How can we find it and not lose it? How do we use it, perhaps even exploit it? Holiness does not eliminate the human personality. It does not violate human freedom and will, uniqueness and the sacredness of the human person. Holiness is not unmanned and the manufacturing of an identical statue. Many have a false perception of holiness. The most fragrant books of the lives of saints give us numerous and beautiful examples from the West to the East, among women and men, young and old, educated and illiterate, married and unmarried, clergy and laity, closed and open types of personalities. The descriptions of the siege are horrifying. The combatants in the City were not many. The number of the combatants of both camps were very uneven. Emperor Constantine Palaiologos invited his secretary Sphrantzis to make an inventory of the men in the City who could bear arms. Sphrantzis found that "there were only four thousand nine hundred eighty-three available Greeks and just under two thousand foreigners. Constantine was amazed by the numbers and told Sphrantzis not to publish them." The Ottoman army consisted of about eighty thousand men and rebel hordes. The valor of the besieged was great. The Emperor fought as a simple soldier. But it seems that the Genoese showed a neutrality in critical moments of the struggle, and sought peace and agreement with the Sultan. Emperor Constantine was proposed to escape from the City, but he refused. "He was so tired, so that at the time of speaking he fainted. When he recovered, he told them again that he could not abandon his people. He would die with them." The five Virgins having foreshadowed you. These five lilies among the thorns of paganism, the virgins Martha, Mary, Kyria (Kyra), Vareria (Valeria) and Marcia were born in Caesarea of Palestine. They learned of the Christian Faith from a certain man whose identity is unknown to us. Having utterly forsaken the folly of idolatry, all five embraced the Faith and received Holy Baptism. After this, they dedicated themselves as brides of the incorrupt and pre-eternal Word, daughters of the unoriginate Father and chosen vessels of the Holy Spirit. Therefore, these pure doves resolved to abide together in one house. They lived a quiet and pious life, occupying themselves with fasting, prayer and vigils. They dwelt in silence that they may hear the word of God in their hearts. In their prayers they would supplicate God to reveal fully to the world the deception of idolatry and to spread the belief of Christians and enlighten the world. Wherefore, she praises the Lord joyously, Who gave you to us. Mark hailed from the Aegean city of Smyrna. 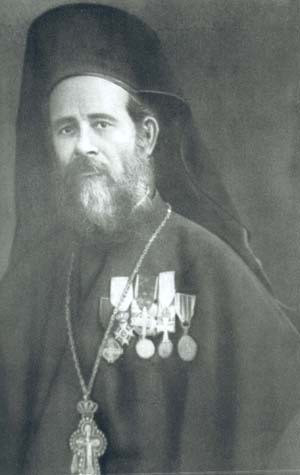 His father, Hatzi-Konstantes, however, came from Thessaloniki while his mother Maria was a native of Smyrna. Mark was a traveling vendor who would travel to Kusadasi (New Ephesus), Chios and in their regions. He was married in 1788. Motivated by his brother, he eventually went and settled in Ephesus. There he became involved romantically with another Christian woman named Maria and thus committed adultery. Caught in the act, they were both arrested. Being brought before the Aga, they both converted to the Islamic religion. Mark was adopted by the Aga and circumcised, and Maria was brought to the harem of the Aga. Later he let her free and allowed her to live in her own home, and gave her a salary. Saint Dorotheos became Bishop of Tyre under Maximian in 303. When the great persecution of Diocletian broke out, upon request and pressure from his flock, he was persuaded to temporarily flee, so he went to Odyssopolis in Thrace. Later he returned to his headquarters in Tyre under Constantine the Great, to be near his rational flock that loved him very much, and he pastored them with sacrificial love. He particularly cared for the poor and the sick and supported in every way those who were weak in faith. As a lover of learning he progressed in studying and writing. At a certain period of his life when he was in Rome, he followed and recorded the events concerning the martyrdom of the Holy Martyrs Aristarchos, Pudis and Trophimos. He also wrote about the lives and martyrdoms of many other martyrs. 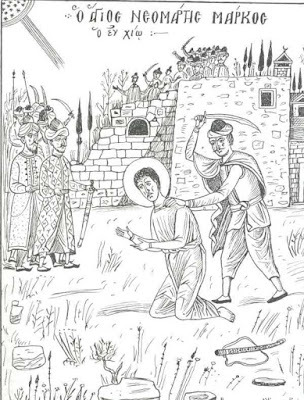 Saint Dorotheos had a martyric end under Julian the Apostate, at the age of 107, in Eastern Thrace. There is a brilliant work by the Byzantinist Steven Runciman called The Fall of Constantinople, in which one can find many essential elements to understand both the causes that led to the fall of the Queen City, as well as the facts and events that preceded the fall and followed it. We will look at the most important of them to understand these events. 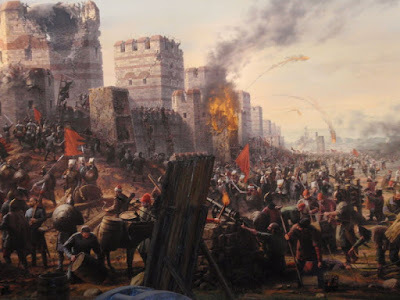 There were two main causes for the fall of Constantinople. 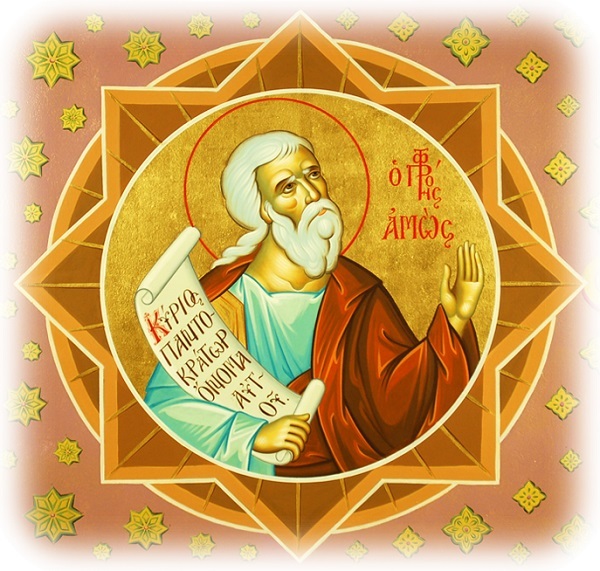 - Abba Alonios said: "If a man does not say with his heart, 'only God and I exist in this world,' he finds no peace." - Abba Alonios said: "If a man but so desires, he can return to the divine standard and repent anytime, whether early or late." 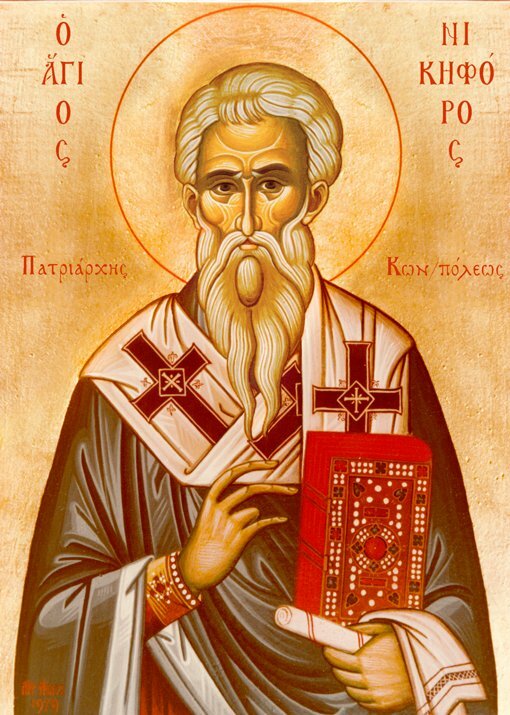 Saint Dorotheos was an ethnomartyr and one of the most important scholars and hierarchs of the nineteenth century, first as Metropolitan of Philadelphia (1805-1813) and then as Metropolitan of Adrianople (1813-1821). He was born in Chios, where he was educated. He then studied at the Patmiada School in Patmos, where he was a student of Daniel Kerameas. Because of a correspondence, we know that he became friends with Benjamin of Lesvos. Their friendship remained undisturbed because they had common interests, as people who loved education and the nation. 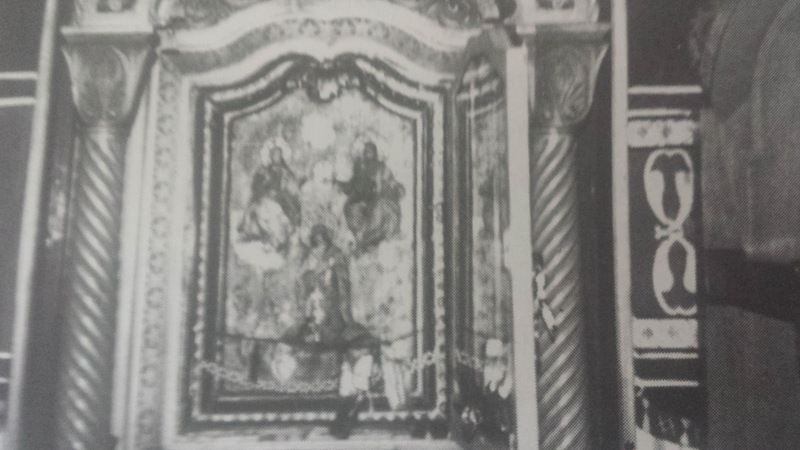 The persecution against holy icons from the time of iconoclasm is well known. 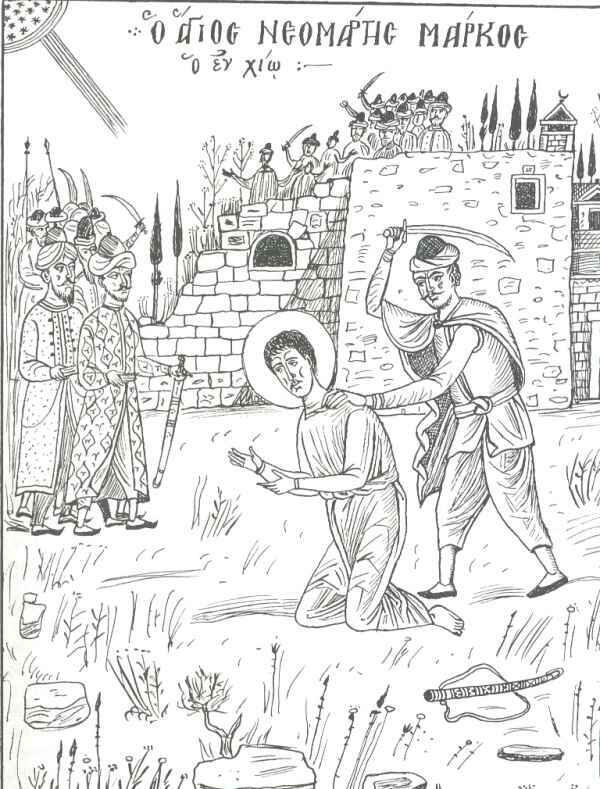 During the Turkish occupation there was another persecution against holy icons by the unbelieving Turks. This is what happened to the holy icon of the Holy Trinity, which a Turk struck with an ax in Smyrna, but after seeing that it could not be damaged, he threw it in the sea and it was taken by the waves. After an unknown number of years there was a sailor out at sea who was shipwrecked. In danger of drowning by the waves, he supplicated God to save him and, O the miracle, the wooden icon of the Holy Trinity appeared before him, upside down, and for this reason he merely considered it a plank of wood, on which he was able to support himself until he got to dry land. 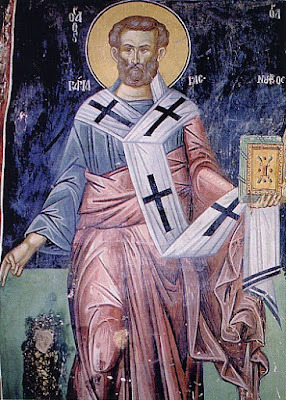 Saint Nikephoros the Confessor, Patriarch of Constantinople, was from Constantinople. His parents Theodore and Evdokia were wealthy and of aristocratic origin, but they were primarily pious and virtuous. 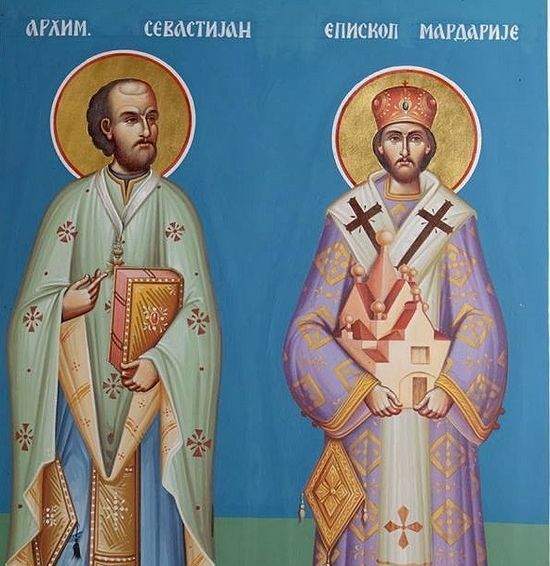 His father was especially distinguished for his zeal and love for the Orthodox faith, as well as his struggles against the heresy of iconoclasm, for which his life ended in exile. Saint Nikephoros, like his father, was also zealous and fiery, but also held an excellent education and therefore served as chief secretary at the Palace for a long time. Then he retired to his estate near the Bosporus, to dedicate himself to prayer, study and asceticism. Later he entrusted his address to the large poor houses of Constantinople, where he ministered with admirable zeal until the day of his election as Patriarch of Constantinople. He rapidly received the three orders of the Priesthood consecutively, and on Pascha Sunday in 806 he ascended the patriarchal throne. 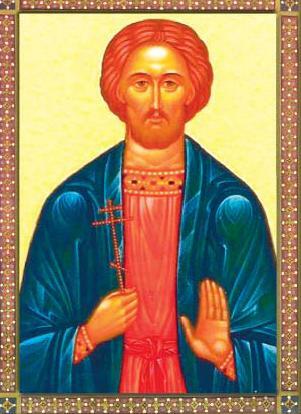 Constantine, whose Muslim name we do not know, was born to Muslim parents, on the island of Mytilene, in the village of Psilometopon. His father died when he was quite young. His mother therefore saw to his Muslim upbringing. At the age of fifteen, Constantine was afflicted with smallpox, which caused him to go blind. Taking pity on him, a pious Orthodox Christian woman asked Constantine's mother for permission to take him to a nearby Orthodox shrine with Holy Water. The woman washed Constantine in the sacred font and he was cured. "The water I shall give him will become in him a fountain of living water, welling up into eternal life" (Jn. 4:14). This is a new kind of water, a living, leaping water, welling up for those who are worthy. But why did Christ call the grace of the Spirit water? Because all things are dependent on water; plants and animals have their origin in water. Water comes down from heaven as rain, and although it is always the same in itself, it produces many different effects, one in the palm tree, another in the vine, and so on throughout the whole of creation. It does not come down, now as one thing, now as another, but while remaining essentially the same, it adapts itself to the needs of every creature that receives it. The Holy Assembly of Hierarchs of the Serbian Orthodox Church during its regular session on May 29, 2015, added the names of Archimandrite Sebastian (Dabovich) and Bishop Mardarije (Uskokovic), clergymen and preachers of the Gospel, God-pleasing servants of the holy life, and inspirers of many missionaries, to the Dyptich of Saints (Calendar of Saints) of the Orthodox Church, reports the website of the Western Diocese of the Serbian Church in America. Having been deposed as Bishop of Raska and Prizren by the Serbian Patriarchate a few years ago for disobedience (see here, here, here, here, here, here, here, here, here, here), and recently installing a new Bishop of "Old" Raska and Loznica single-handedly and not recognizing the canonical Bishop of Raska and Prizren, Artemije (who has gained fame among conservative and anti-ecumenist Orthodox for his association with St. Justin Popovich) was put on an ultimatum by the Patriarchate of Serbia to present himself and repent of his actions or risk being excommunicated. Refusing to respond to the Patriarchate, and not repenting of his act of schism, the Patriarchate of Serbia has officially excommunicated Artemije from the Church. An excommunication and deposition of former Bishop Artemije to the order of layman went out today, Friday 29 May 2015, by the Holy Synod of Hierarchs of the Orthodox Church of Serbia. On Pentecost Sunday, 31 May 2015, His Grace Bishop Makarios together with a group of priests and deacons celebrated the Divine Liturgy and the Service of Kneeling in a Romanian parish of Copenhagen. On this occasion, the Danish professor Jon Gissel, a Byzantine historian of the University of Copenhagen, was received into the Orthodox Church through Baptism, after nearly three years of spiritual catechism. His Grace gave as a gift a silver crucifix modeled after the Northern Cross, an icon of the Holy Prophet and Forerunner John, a towel, and several books on Romanian Orthodox spirituality in Danish. Saint Justin was born about a hundred years after the birth of Christ and was raised in a pagan environment. But his restless spirit could not find rest in the darkness and falsehood of idolatry, so he would continuously seek the light of truth and true wisdom. He prayed to the true God, believing that He existed, and he begged Him to make him worthy to come to know Him. With the perspicacity of his mind, and especially the goodness and purity of his heart, he understood that idols were lifeless, and having no life they could not transfuse life and satisfy the deep longing of humanity, which is the thirst for life. They were not people, they could not see, they could not hear, they could not speak, therefore it was impossible for him to have personal communication with them. He was unable to converse with them, to share his joy and reveal his pain to find support, consolation and meaning in life. For this reason he sought out the living God, who is a Person, and, if a person wants, they could have personal communication with Him. Eventually he recognized Him in the Person of Christ, who revealed Himself with the signs of the Cross, with the "marks of the nails," humble and meek, full of love and wounds, yet almighty.